AEGEE-Europe turned 32 today but it’s only one of many anniversaries this spring. 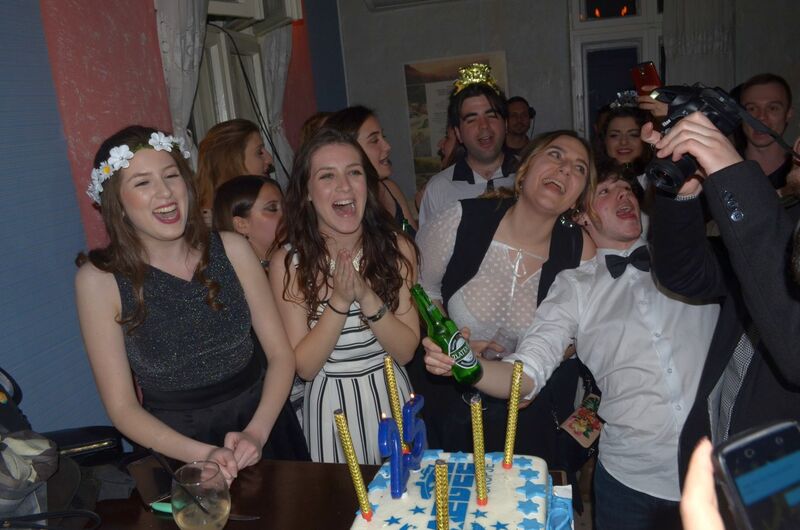 A few weeks ago AEGEE-Skopje celebrated its 25th birthday. Founded in 1992, the local in the capital of the Republic of Macedonia joined the network only two years after the first locals behind the former Iron Curtain were admitted. Of course, the antenna celebrated its silver anniversary in style. 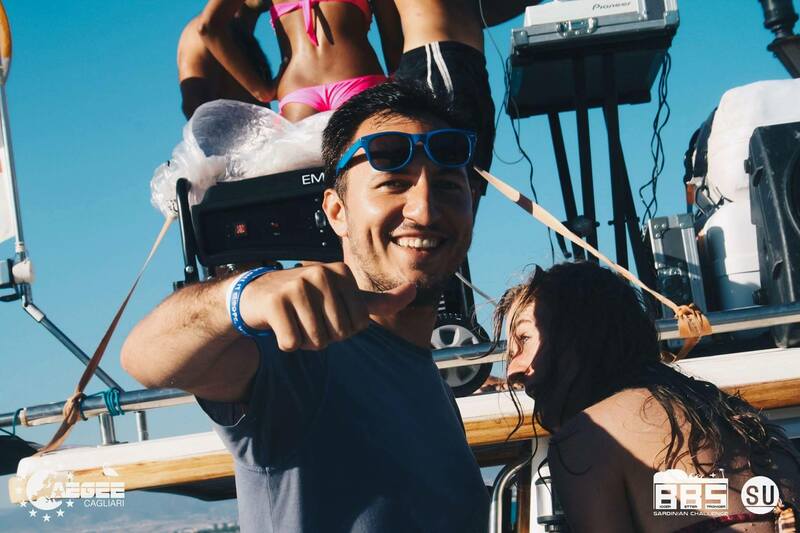 Ivan Janevski, President of the advisory board of AEGEE-Skopje, told the Golden Times more. GT: How was the 25th anniversary celebration of AEGEE-Skopje? Ivan Janevski: We celebrated our 25th birthday during the Summer University Project School in the end of March and it was truly amazing. Aside from the participants and trainers from the SUPS event there were many alumni and active members, members from other student organizations, partners and other guests. GT: Where and how did you celebrate? What was the programme? Ivan: The birthday took a place in one of the best bars in Skopje: “Casa Bar”. The dress code was black and white. We prepared a large panel with the logo of AEGEE-Skopje where all the birthday guests had a chance to take a photo. The first international event of AEGEE-Skopje was a great conference about privatisation – with also outstanding parties! GT: Was it a big event? How many people were present? Ivan: It was the biggest birthday celebration we have ever had, with more than 100 people. GT: Were there some oldies from the founding days? Ivan: Yes, there were a many alumni members, beginning from the first board of AEGEE-Skopje. There were also members who were active in the European bodies. It was nice to see all the alumni members after such a long time and share the memories with them. GT: Did you or the oldies present the history of your antenna? Maybe the highlights? Ivan: Unfortunately we weren’t able to do that because it was really crowded in the bar. However we did have a photos exhibition with photos dating from more than 15 years ago. It was so fulfilling to see the alumni traveling back in time while seeing the photos. 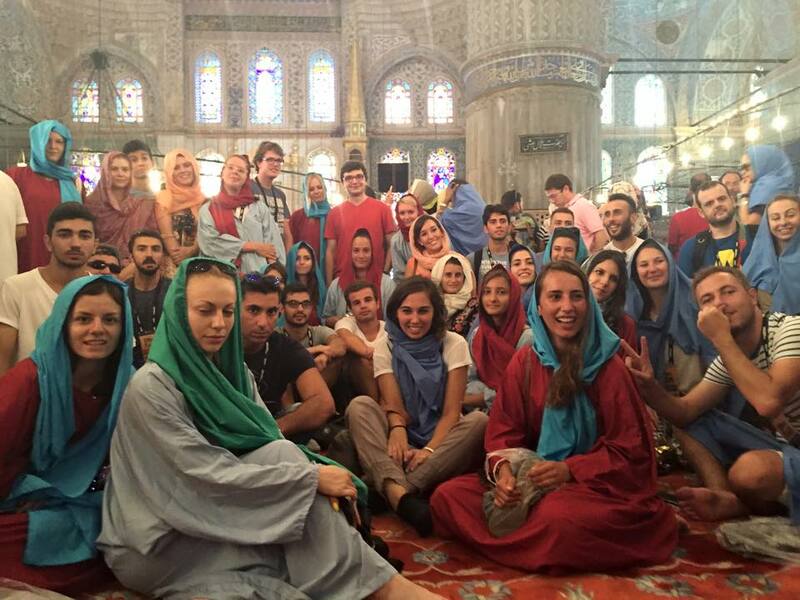 GT: How was AEGEE-Skopje actually founded? Ivan: We also don’t know who was exactly the founder of AEGEE-Skopje, or if there were more mind-alike people, but from the alumni members we know that AEGEE-Eindhoven helped us to became an antenna. They also helped AEGEE-Skopje with organizing their first international event. GT: Did you have a cake? What kind of cake was it? Ivan: We had a huge cake with the new logo of AEGEE-Skopje. 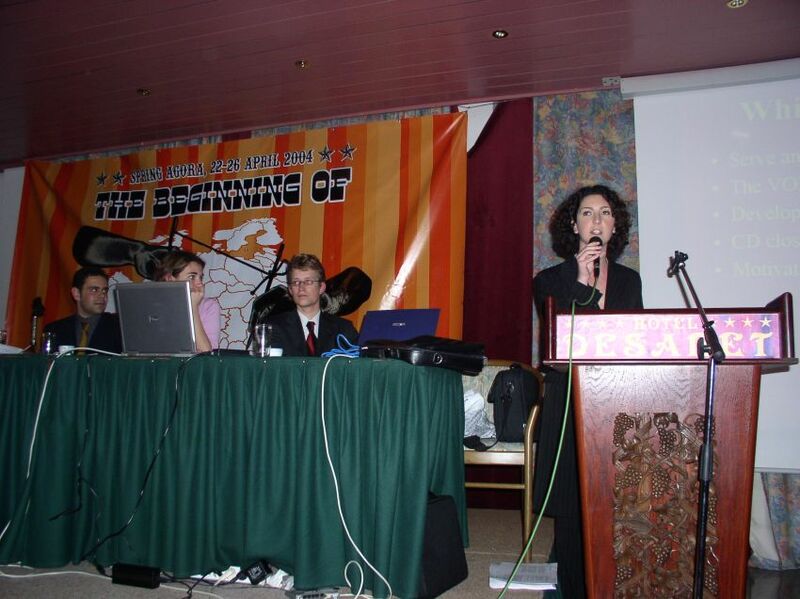 Altogether AEGEE-Skopje organised 22 SUs, like this recent one in 2005. GT: Your antenna has a rich history. Can you give some examples? Ivan: Yes, AEGEE-Skopje has a rich history. During all these years we organized two Agoras, six Winter Universities, 22 Summer Universities and more than 80 other AEGEE events such as Network Meetings, exchanges, SUPS, LTC, RTC, Presidents Meeting and many other. 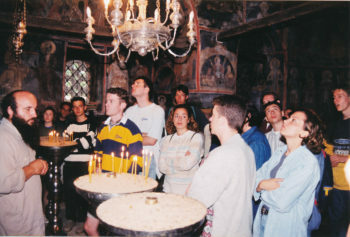 The Via Egnatia TSU in cooperation with AEGEE-Istanbul and AEGEE-Thessaloniki in 1996 was one of the most famous Summer Universities in AEGEE history. AEGEE-Skopje is one of the few antennae that organised two Agoras. Both took place near the Ohrid Lake. The first one in 2004 actually took place in a hotel in Ohrid. GT: What are your antenna’s next big plans? Maybe another Agora? Ivan: Last month we organized a SUPS and the next period we will be focused on the local level and recruiting new members. In July we are organizing a Summer University titled “Yes, I DO”. When it comes to organizing Agora soon… well I guess time will show, but it for sure is on the long-term agenda of ours. The second Agora took place in Struga in 2011. Ivan: We hope that our new active members will continue this amazing fairy tale and will keep the AEGEE spirit on the highest level as we did till now. Flashback time – exactly 22 years ago AEGEE-Skopje organised its first international event – which made it antenna. These are some memories, not only about the event itself, but also a reminder how much easier travelling within Europe has become since then.